INDUSTRY.co.id - Jakarta - Until the third quarter of this year, the performance of PT Perkebunan Nusantara (PTPN) III is driven by healthier financing factors and infrastructure development factors as well as more intensive fertilization of palm oil crops, resulting in more maximal production. "Fertilization is the most important thing in encouraging increased production," said Head of Palm Oil and Rubber Operations Division PTPN III, Desmanto in Jakarta, Wednesday (27/09/2017). Desmanto said, thanks to the increase in production, palm oil crops are the main contributors to the company's revenue compared to other commodities such as rubber, sugarcane, and tea. "By looking at the positive production of FFB and CPO, we are optimistic that the TBS production target of 8.91 million tons and 1.97 million tons of CPO by the end of the year can be pursued, especially since the peak CPO production usually occurs in September and October every year," he said. Last year the production of TBS Holding PTPN III amounted to 7.69 million tons and CPO production of 1.7 million tons. Meanwhile, Executive Director of the Indonesian Palm Oil Board (DMSI), Iskandar Andi Nuhung said PTPN needs to expand its palm oil plantation so as not to be far behind with private companies. Because compared to private land, PTPN palm oil is only about 10%. 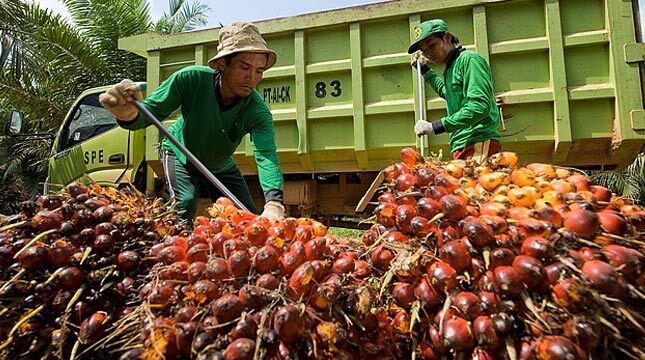 "Whereas before, PTPN, which leads the palm oil industry, is now lagging behind the private sector, because the private sector is quick to expand its business compared to PTPN, which is relatively in place," said Iskandar. Currently the area of ​​private oil palm is already more than 5 million hectares (ha). While the area of ​​palm oil plantations owned by PTPN only about 700,000 ha. The quality of PTPN palm oil trees is also old which impacts lower production than the private sector.